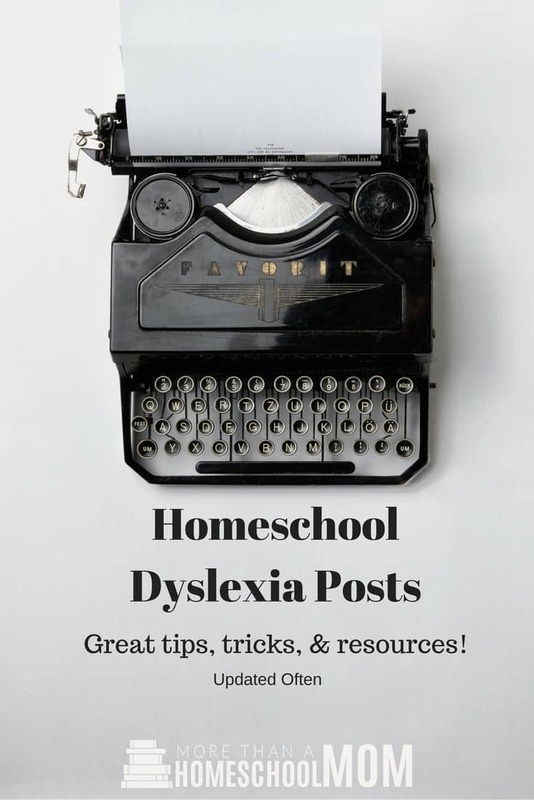 Homeschool Dyslexia Posts | Great tips, tricks, & resources! When we found out R had dyslexia it was both a stress and a relief. As time has gone on I have written some great homeschool dyslexia posts and plan to write more. 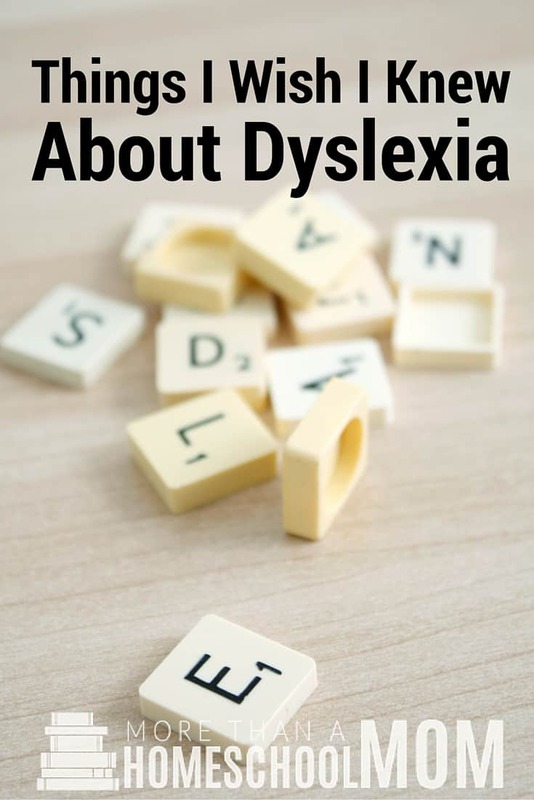 I decided to put this list together for you so that you can find some of my most popular homeschool dyslexia posts as well as some from bloggers I trust. Make sure to click on the images below to check out each post. If you want to pin any of these, make sure to click over to the post and then pin it so that you don’t end up coming back to this post. Homeschool Dyslexia Posts | Great tips, tricks, and resources! I haven’t always known that R is dyslexic. There was a time when I was unsure. During this season I genuinely thought it was either her laziness or I was not good enough. That had to be the reason for her struggles. When we received the dyslexia diagnosis it was like a weight lifted off my shoulders. I can teach if I know what is making learning difficult. I wanted to take a minute and share some of the things I wish I knew about dyslexia. I hope that by sharing some of this I can help you avoid the stress that comes with uncertainty. If you have been around the blog for a while you know that R is dyslexic and dysgraphic. However, R is also an incredible reader. As I type this my nine year old is working her way through the Harry Potter books. This seems to stump a lot of people because she is dyslexic. I will say it didn’t come easy. A lot of hard work went into teaching her to read. If you have a dyslexic student that is struggling with reading I want to share how my dyslexic child became a strong reader.